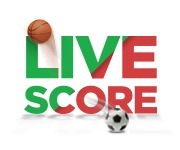 Follow live games the games of the main European championships and European competitions, with our service Livescore / Results In-Play. This service and free offers results of the following tournaments and competitions: Champions League, Europa League, Premier League, Italian Serie A, Liga BBVA, Liga NOS, Bundesliga, Ligue 1, Dutch League, Russian League, Turkish League, Greek League, Belgium League, Swedish League, Danish League, Scottish League and Ukrainian League. The results are automatically updated every 3 minutes. No need to do refresh on the page.